I just wanted to take this moment to publicly say thank you to Tartarus for doing this. I can't imagine that they're getting rich off of it. The books are pricey, but so beautifully designed, bound, and printed that I expect the profit margin is really not all that high. Over the years, I've bought most of the collections that contained multiple stories I didn't already own, and they're among the most beautiful books on my shelves. I seldom resist walking past them without touching them. Despite not having a whole lot of discretionary income these days, I've never regretted buying these volumes. Tartarus makes elegant books. But ultimately it's the content that matters, and it is the content that causes me to write this post. 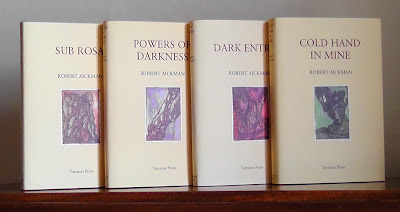 Aickman classified his writings as "strange stories", and that is truly the best description of them. Sometimes they are supernatural stories, but not always (at least not unambiguously). Some of them fit somewhat comfortably into the realm of "horror stories" or "ghost stories", but also not. They are unique and marvelous and unsettling and beguiling, and they richly reward rereading, which is really my only criterion for whether a piece of writing is great. 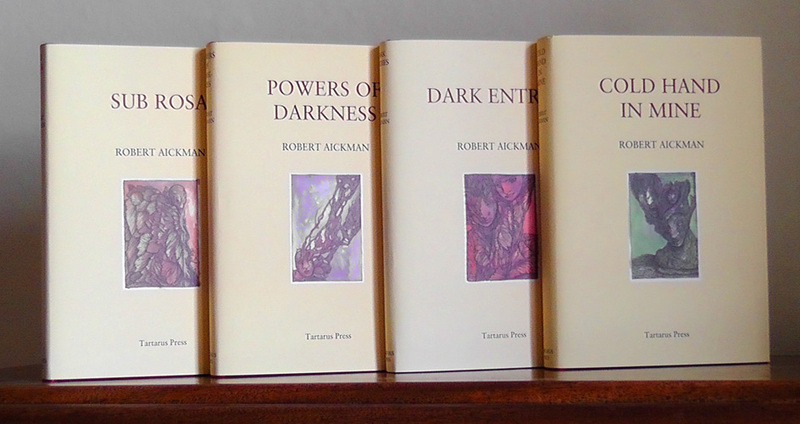 Thank you to all the folks at Tartarus for bringing Aickman back to us in such excellent form.